All of our celebratory activities of Christmas are merely the trimmings of the season. The heart of the season is JESUS. The Christmas story penned by Matthew and Luke, points to the "indescribable," "unspeakable," "inexpressible" gift-Jesus (2 Corinthians 9:15). The Nativity is the first chapter of the great historical event of God's coming in the person of Jesus into the world. 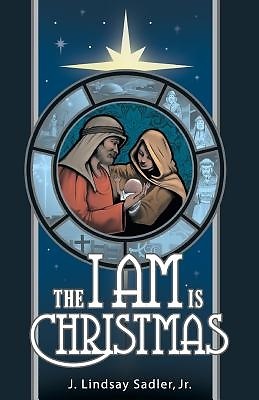 Each aspect of the nativity setting of Jesus' birth points to Him as the "I AM." The "I AM's" in the gospel of John will guide you through not only the season of thankfulness and joyful giving but through the entire year. I pray this small book of "Christmas reflections" will enrich your season of joy, and enhance the entire upcoming year. As you reflect on God's grace by being born and walking the earth to bring you life, His love displayed for you at Calvary, and His provision for you and your family during the year, may you be drawn to or closer to Jesus.